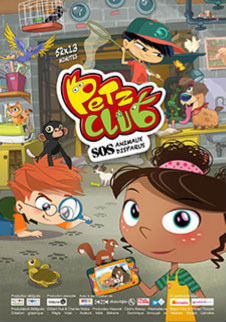 Together with their dog MARLOW, NINA, OSCAR and TIM have formed « PETZ CLUB ». It is a secret organisation (well, secret from adults!) whose aim is to find the pets that have been lost by children. But it is not easy being an expert when you are just 7 or 8 years old, still have to go to school and have parents to look after! Plus they have just 48 hours maximum to find the animals - hairy ones, tufty ones and even those just sniffing around - and return them to their inconsolable young owners. 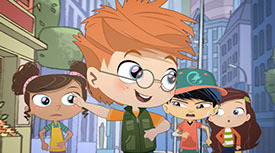 Every police-style investigation of « Petz Club » is packed with the perfect diet needed for our young viewers: Emotion, mystery, humour, suspense, adventure and education. They live these experiences with and through the exploits of our young apprentice detectives and learn about the behaviour of their favorite pets.... all whilst having fun!